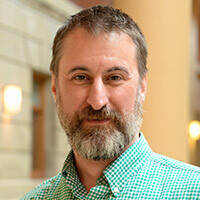 MADISON – In what is believed to be a national first, the University of Wisconsin-Madison, in conjunction with UW Health, has established a new resource for Wisconsin primary-care physicians and other providers to help them successfully manage patients with addictions. With the help of a grant from the Wisconsin Department of Health Services, the University of Wisconsin Addiction Consultation Hotline offers daily on-call help to providers who seek support and direction to deal with their patients with substance-abuse problems. The $500,000 grant can be renewed for a second year. “The misuse of substances and the complications that flow from that misuse represent the single largest preventable and treatable contributors to morbidity and mortality in this state and nationally,” said Randall Brown, MD, PhD, who oversees the program team for the service. “And research shows that appropriate care for these patients can be effectively delivered in primary-care practice settings. But 70 percent of Wisconsin’s rural counties lack even a single provider who is certified to provide medication-assisted treatment for opioid-use disorders. Brown, who is also associate professor of family medicine and community health at UW School of Medicine and Public Health, says while the focus will be on acute care for the patient in the doctor’s office, the addiction specialists will also provide advice for longer-term care and follow-up. The service will provide counsel about the full range of addictions, including alcohol, opioids, stimulants, marijuana, and synthetics. The hotline is available weekdays from 8am to 5pm. Providers should call the UW Health Access Center at (608) 263-3260 for assistance. Those outside Madison should call toll-free: 800-472-0111. Funding for this program was appropriated through 2017 Wisconsin Act 28. UW Health is providing operational support for the effort, and Brown’s team is also working closely with the Rural Wisconsin Health Cooperative and the Wisconsin Society of Addiction Medicine to launch the program. The hotline is available weekdays from 8 a.m. to 5 p.m. Providers should call the UW Health Access Center at 608-263-3260 for assistance. Those outside Madison should call toll-free: 800-472-0111. Originally published on the UW SMPH Website.